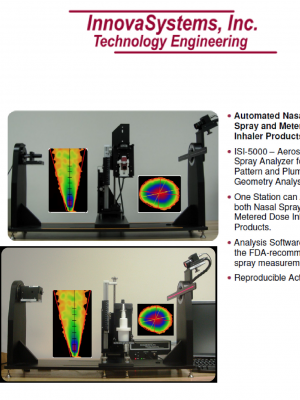 Innova Systems Inc. – Apex Chromatography Pvt. Ltd.
InnovaSystems, Inc., based in Mooretown, New Jersey, was founded by John Waters (President) and Nick Schreier, in 1989 as a technology engineering company. InnovaSystems provided then, and continues to provide now, a single source for clients to turn a need, to improve productivity, throughput, quality or safety in the laboratory, into a solution. InnovaSystems capabilities include mechanical design and development, electrical engineering, hardware and software development, machining, assembly, testing and support. Academic, biotechnology, chemical, environmental, food, government, petrochemical, and pharmaceutical organizations are represented in InnovaSystems installed base of over 400 automated solutions for sample handling, preparation and analysis in laboratories ranging from quality control to research. With products designed to support 21 CFR Part 11 compliance, optional IQ/OQ packages to simplify validation and implementation, training, warranties and service, InnovaSystems is committed to the on-going success of our clients. Sample Tracking and Data Management software packages. General laboratory sample handling and preparation through the integration of laboratory operations including sample transport with gripping, weighing, liquid handling, mixing, capping/uncapping, bar code reading.